The reference to ‘People’ in the text below is a reference to people in general, and as such is also a reference to ourselves. When we refer to how we see the world or how others see us, this is also about how others see the world and about how we see others. Self-deceit exists on a massive scale. People respond to the world not as it is, but as they perceive it. Given the way they perceive it, their behavior is entirely rational. If someone’s behavior appears irrational to you it is because they are seeing the world differently to the way you are seeing it. We all have different upbringings, different experiences, different learning, leading to different knowledge and information and beliefs. As a result we all see the world in slightly different ways. We mean and understand different, albeit sometimes only subtly different, things when we use or hear given words. People have a strong tendency to simplify. They will ignore or forget inconvenient details that don’t fit in with their simplified models or views of the world. Aphorisms are judged more insightful if they rhyme than if they don’t. We see what we expect to see, as our expectations strongly influence our perceptions. Thus people given a placebo but told by someone they believe that it will significantly reduce pain, do indeed experience significantly reduced pain. Someone given a non-alcoholic drink and told it is alcoholic will experience and exhibit symptoms of someone who has drunk alcohol. We will experience expensive wine as tasting better than cheap wine even though if given a blind taste test we would not be able to tell which was better. People become totally convinced in the absolute truths of their beliefs and their own world view because they only subject themselves to information that is consistent with those beliefs and ignore or avoid any information that might be contrary or point to alternatives. Everything makes sense in hindsight. The illusion that we understand the past fosters overconfidence in our ability to predict the future. The vast majority of people believe that that are absolutely right about most things and that almost everyone else is an idiot. The way we see the world is to a large extent conditioned by the age and culture we live in, and the language we have available to us. Intuition is that instinct that tells us we are right, whether we are or not. Whilst our intuition may be useful when looking to quickly make relatively unimportant decisions, it is rarely a replacement for hard thinking and systematic analysis of pros and cons and weighting of different factors for important decisions. People’s intuition is based upon a subconscious focusing on certain facets which in truth results as much from biases and prejudices than from some magical ability to ascertain underlying truths. 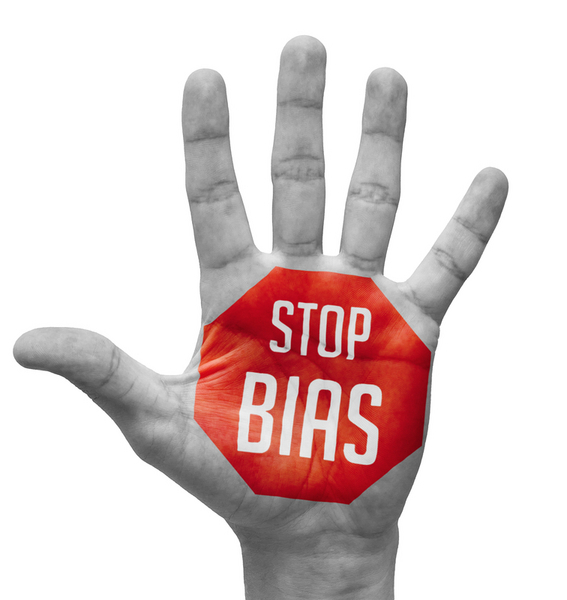 People generally believe they are far less biased than they actually are. If someone has a vested interest they will probably be biased, either consciously or sub-consciously. Even the most evil and hateful person thinks they are a good guy. Everyone believes that their own load is the heaviest. Because we see the world in a particular way does not mean this is some underlying truth about the way the world is. People generally perceive their successes to be the result of their own skill and actions, but their failures to be due to circumstances outside of their control or due to lack of support from others. Thus most people take credit for success but deny responsibility for failure. People consistently over estimate their own capabilities, with 50% of people often putting themselves in the top 10% whilst very few consider themselves below average. We are selective about what we notice. We cannot deal with the vast amount of sensory input in terms of paying attention to it all, so our brain filters it dependent upon what is of interest to us or what represents a potential threat. In general about 90% of what we perceive is not an objective view of the world but is filtered and distorted by our subjective thoughts. People are very poor at statistical thinking. They prefer stories to probabilities, and thus a single instance in a story can have far more impact than probabilistic data gathered from many instances. Most people tend to pay more attention to the negative than the positive. An insult or criticism plays more on their mind than a complement or praise. People like people who are similar to themselves, and will tend to spend more time with them. By being selective about what evidence we focus on or ignore, we can convince ourselves of the truth of almost any hypothesis. The way we see the world is largely a self-fulfilling prophecy. Once we start to see the world in a particular way we find many examples that seem to confirm that particular way of thinking. People with a high IQ often believe they are more intelligent than others and thus less prone to making thinking errors or believing wrong things than others. However IQ only measures a very narrow range of thinking ability, to do with analysis of given information, and those with a high IQ are just as prone to many thinking errors prevalent in the real world as are those with a lower IQ. Everyone believes they are open-minded. However being open-minded means being rational, non-judgmental, without significant prejudices, and willing to listen to any views irrespective of whether you agree or disagree with them. It means accepting that your own views may be wrong or in need of modification and being open to new information. It means actually changing you mind from time to time based on new information. Most people are not like that. They consider themselves to be open-minded but that they will not need to change their minds because they know they are right. People are often very certain about things they know little about. People often overestimate their ability to control a situation. They make plans for how they will make things happen but don’t recognize that other people will not act the way they want them to just because they want them to. Those who play a lot of video games for example can get a distorted view of how the world will react to their real world actions. The thoughts we focus on become the lens through which we look out on the world. Once someone has made up their mind about something it is very difficult to get them to change it, because they will see any suggestion of potential change as an attack on their ego, and as an accusation that they have made a bad choice. For the same reason, once someone has started to use a given brand they will become very defensive towards that brand. Statistical evidence is routinely discarded when it conflicts with one’s personal impressions. Underlying most behavior is positive intent, albeit biased towards self-interest. People rarely go out to deliberately harm or upset others, except where it is a choice between others and themselves. But their behavior and actions derive from their viewpoint, not yours. People have an innate desire to improve, to do quality work, to be curious, and to accomplish. What holds many people back is an expectation that others are responsible for creating the environment that would enable them to flourish. People who yield to cheating justify themselves by saying it’s something everyone would do if they had the chance, or that the means justify the ends. People are capable of extreme cruelty if unfettered by law. People act to align themselves with how they believe other people perceive them. Thus if we believe people see us as charitable, we are more likely to act charitably. People who hurt others through words or deeds often barely notice it, whilst those on the receiving end may feel the pain or resentment for years. People always want more. Once we have achieved one thing we move on to wanting something else. 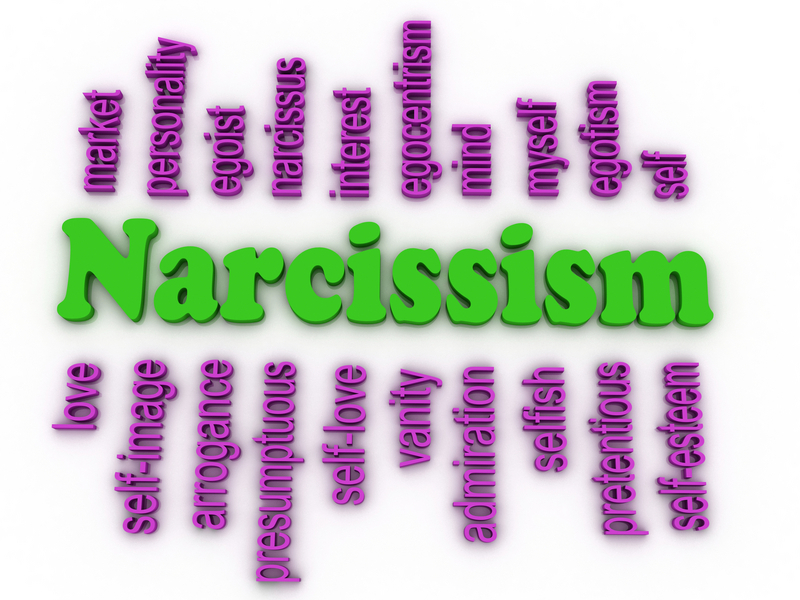 Much of people’s behavior can be traced to them looking to protect their ego. People, for the most part, want to feel good about themselves, and for various reasons are often unable to do so in the circumstances they find themselves. They thus subconsciously adopt tactics which either dulls the pain of not feeling good about themselves or provides a way that makes excuses for them not feeling good: they take drugs or alcohol; or they take out their frustrations on other people, particularly those physical weaker than themselves. People overestimate how well they understand others, and often believe they know others better than those others know themselves. However they would never accept that others may know them better than they do themselves. Some people assume that because they know what they themselves are thinking and feeling, that others do too; that it is obvious. Unfortunately the external manifestation of how they are feeling is usually ambiguous from the viewpoint of an external observer. It only takes a couple of minutes for most people to make up their mind about someone they have just met, about how competent they are, about their social standard, about their level of education, and about how much they can be trusted. It can take many months for first impressions to be changed. When someone criticizes another it often says more about the person doing the criticizing than it does about the person being criticized. People often subconsciously project their own negative thoughts or emotions onto others. An example is where someone who is having thoughts about infidelity believes their partner is having these thoughts and thus it is ok to have an affair because their partner would do so if they had the opportunity. We believe others are far more aware of us than they are. When we make a mistake we think everyone notices, but usually they don’t, or if they do they quickly forget about it. In truth most people spend the vast majority of their time thinking about themselves, and the tiny fraction of the time they spend thinking about us is shared with all the other people they come into contact with. The way we see others is often dependent upon our own emotions at the time. When we are feeling down we will see people as being very different to how we see them when we are in a good mood. We have a natural instinct to treat strangers as foes until such time as we have had reason to treat them as friends. Thus the importance of icebreakers at workshops and establishing a rapport when meeting new people. People feel more comfortable and at ease with people who are similar to themselves, and will react more favorably towards those with whom they have something in common. People who find certain tasks relatively easy tend to assume others do as well. They often underestimate how much they know and have learnt. This is often a problem with those producing learning material or instructions, who assume certain information or steps because it is obvious; however it is only obvious to those who already know it. We tend to see people not as they are, but as we are. A thief thinks everyone steals, or at least would do if they had the chance. Someone who sees everyone else as out for what they can get is somebody who is out for what they can get. An accountant may see everything in terms of finance and money. Revolutionaries may see everything in terms of a struggle with government and with accepted ways of doing things. Someone who is disabled will see a very different world to that of those who are not disabled. Be wary of assuming others think as you do, and thus that they would behave the way you would in similar circumstances. We typically project our own viewpoint into the minds of others and presume they can see the same things that are obvious to us. A simple illustration of this is tapping out a popular tune with your fingers. Most people in doing this will believe that it will be obvious to others what is being tapped out, whereas it rarely is to the listener. Be wary of believing you know what other people are thinking. Sometimes you might be right, but often you will be wrong. If you want to know what somebody else thinks, ask them. People will appear to you the way you believe them to be. Be wary when looking for explanations for an individual’s behavior. There is a frequent tendency to identify some particular event from someone’s past and say it is to blame. However this is usually rationalization. There are probably many others who had similar events in their past but who did not then go on to exhibit that behavior. People assume we have the same personality traits as our friends. A person who is intelligent and wise in one area of life is not necessarily intelligent and wise in another. People are not right just because they say they are, or just because they believe strongly that they are. Do not be intimidated by people with strong beliefs, or who are insistent that they are right. Most people are as filled with self-doubt, just as are you; particularly just before the dawn. People aren’t perfect. They say the wrong things, they make mistakes, they forget things. Don’t get upset about it. It is the way they are. It is the way you are. Just because someone doesn’t say they disagree with something this doesn’t mean they don’t. Just because people don’t complain doesn’t mean they don’t have just cause for complaint. The best predictor of what a person will do is what that person believes others are doing or will do. People can change their moods very suddenly: in particular when they ‘lose their temper’. Frequently the thing that makes them lose their temper is in itself some minor incident, however it will have built upon a number of other incidents such that some threshold is passed. People judge others based on appearances because it is all they have to go on. Accept this as a fact and thus dress in a way appropriate to whatever impression you wish to make. When people know you better then your appearance will matter much less, but until then. We tend to consider other people’s behavior as being largely determined by their internal personalities rather than by the particular circumstances, but see our own behavior as highly responsive to external circumstances. Thus if someone trips over something we will tend to see them as clumsy, whilst if we did the same thing we would blame the circumstances, such as poor light, or being distracted, or the object we tripped over being in a stupid place. People believe they themselves are flexible in terms of their behavior and moods and that their responses are dependent upon the particular circumstances, whilst they believe other people are much more fixed, with their responses being largely determined by their personalities. 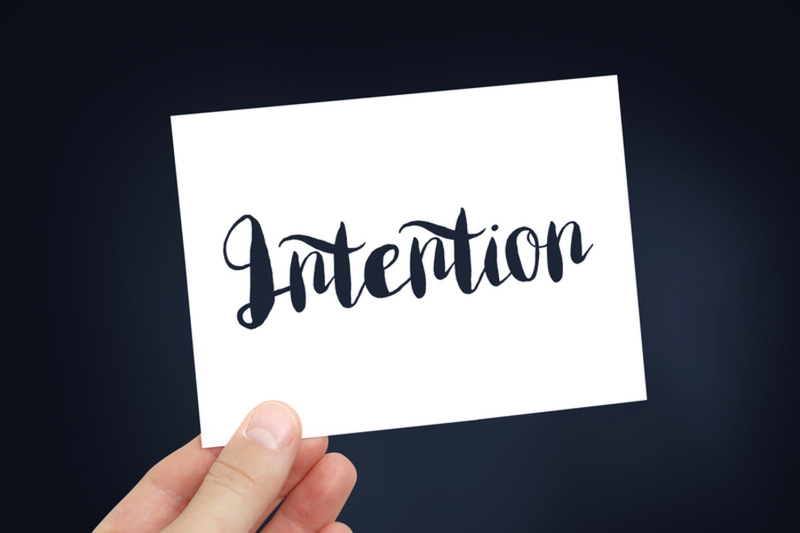 We judge our own actions by our intentions: generally we mean to do good, but if it goes wrong, due to circumstances or other people’s reactions, we know that at least we meant well. However we don’t have ready access to other’s intentions, only their actions and the consequences of those actions. If they come out wrong we then attribute it to deliberate intent on their part, or to their stupidity or incompetence. Most people believe they do not suffer from the shortcomings of most people. Most people think they are objective whilst others are biased. When others don’t agree with them it is because the others are biased. It is easier and more enjoyable to spot and label the mistakes of others than it is to recognise our own. People accept that most people are unrealistic about how unbiased they are, however they don’t believe it applies to them. People see prejudices in everyone but themselves. Prejudices are irrational or mean-spirited, and no-one sees themselves as being that way – therefore any negative feelings or dislikes they have about others must be justified. People frequently fail to see their own hypocrisy. They criticize others for some given type of behavior, but fail to see analogous or similar behavior in themselves. People justify their own actions as being due to the way they are, and see it as a virtue. But they criticize other’s actions as being the result of the way they are, and see it as a fault. Other people frequently notice when we contradict ourselves. We rarely notice our own contradictions. Most people believe they are far less susceptible to being influenced or persuaded by advertising and the media than other people. We have a tendency to see people who are the victims of misfortune or adversity as having done something to deserve it. This is a result of us wanting to believe that such things won’t happen to us; which we can if we can think in terms of our not doing things that would put us into such circumstances. This can lead to us blaming the victim of a crime – ‘they were asking for it’ – rather than focusing all our blame on the perpetrator. People who criticize or look down on others for being judgmental are often judgmental themselves, albeit about different things. People who are always looking to ‘control’ situations may think of themselves as leaders or as assertive, others may well see them as control freaks, or aggressive. Be aware that you may not appear to others the way you think you appear, and others may not actually be the way they appear to you. For example: you consider yourself logical, others may see you as unfeeling; you see yourself as decisive, others may see you as obstinate, inflexible, or over hasty; you see yourself as caring, others may see you as a busybody or intrusive; you see yourself as organized, others may see you as bureaucratic; you see yourself as flexible, others may see you as indecisive; you see yourself as cooperative, others may see you as conspiring. People have a tendency to be lazy in their thinking. Thinking requires effort and it is much easier simply to accept common notions or opinions, or accept those of the people around you. To some extent we must all be lazy in our thinking sometimes, for the same reason as we need to sometimes physically rest: it is simply not possible to think about everything in depth any more than it is possible to be continually physically active. However many people are often lazy in their thinking about important things when they don’t need to be. They are simply taking the easy way out. And some people are lazy in almost all their thinking. They have never gotten into the habit of genuinely thinking for themselves. Many people want a ‘quiet life’, and dislike anything that threatens or disturbs that. Hence a general prejudice against change or innovation. This, along with a desire for self-survival, leads to a willingness to accept great wrongs by the state or culture as a whole, and a willingness to go along with the crowd. Most people do not like anything that threatens their established way of living, or which tries to force them out of their comfort zone. Many people don’t do what is most important; they do what is easiest. Many people confuse their wants with their just dues. They want to be paid more, but don’t ask themselves if the work they are doing and the effort they are putting in justifies them getting more. They thus work less when they feel they are not being paid as well as they think they should be, and thus justify why they are not being paid more; rather than working harder to justify why they should be paid more. Many people seem to believe they have rights without duties. The world however doesn’t give something for nothing, and those that get something for nothing are reliant upon others who give more than they get. 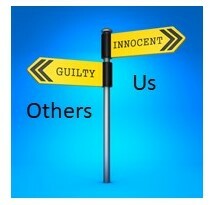 People feel more responsible for their actions than they do for their inactions, even when the outcomes are the same. 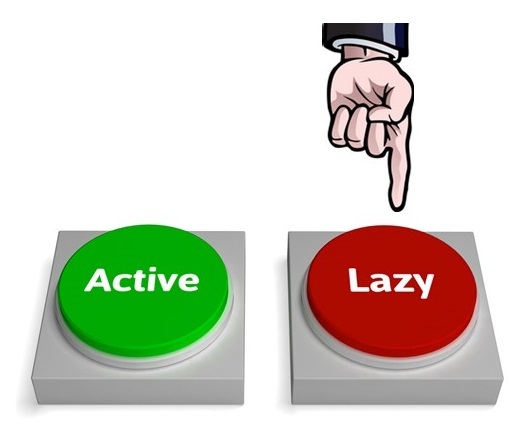 Most people are held back from effective thinking through laziness and pride. They take the easy route of accepting what they are told, particularly when it fits in with their own self-interests. And they don’t like to think that what they know might be wrong. A lack of understanding of probability is widespread and is the source of much irrational thought and action. Many people who are deemed highly intelligent fail to understand or put to effective use probabilistic judgments. People have different abilities and capabilities, partly as a result of their genetic make-up, partly as a result of their life circumstances, and partly as a result of their conscious efforts to develop themselves. ◦Practical Intelligence: our ability to see the world as it really is and cope with the challenges and opportunities of life. Intelligence as measured by IQ tests is a fairly narrow measure of thinking ability, and deals with only certain types of analytical thinking. IQ tests do not measure how well we can adapt to the environment or circumstances, our ability to make rational real-life decisions, or general common sense and creativity. People with a high IQ are not necessarily any better at dealing with practical issues in the real world. People of high IQ are just as capable of believing absurd ideas, being dogmatic, failing to think through all options, or falling for scams. Many pseudo sciences were invented by and believed by people of high IQ intelligence. There are 20 times more astrologers in the United States than there are astronomers. People of higher IQ however do tend to be better at applying strategies, including good thinking strategies, once they have been shown how to apply them. ◦The extent to which they collect information before making up their mind. ◦The extent to which they seek out various points of view before coming to a conclusion. ◦The extent to which they explicitly weigh up pluses and minuses before coming to a decision. ◦The extent to which they think extensively about a problem before responding. ◦The extent to which they think about whether or not their opinion is consistent with the available evidence. ◦The extent to which they think about possible consequences before taking action. People have different personality types. There are various models for personality types. For example the Myers-Briggs types which measures people on scales of Extraversion – Introversion; Sensing – Intuition; Thinking – Feeling; Judging – Perceiving. Or those deriving from Transactional Analysis that identifies people’s behavioral states and tendencies in terms of Parent, Adult, and Child. These can be very useful in helping us understand an individual’s behavior and understand how best to interact with them, but the measures are at best gross simplifications and are not in any sense an absolute truth about a person. Moreover people can behave differently in different circumstances, and can change over time, particularly if they consciously set out to do so. People have different thresholds that control when they decide to act and seek to change something in their environment. To one person a room may be unacceptably untidy, whilst to another it is perfectly ok. This can be a source of considerable conflict in relationships where one person finds they are always doing the tidying because their threshold is significantly different to that of another person. People who lack self-awareness lack the ability to program themselves and are therefore relatively easily programmed by others. Whilst positive people expect to win, negative people expect to be right. People who are negative about anything new or different are determined to be right, and because most new or different things fail or have difficulties, the best way to be right is to be negative. Such people can be very demotivating, so once you have listened to anything pragmatic they may have to say it is best not to engage with them. Recognize that people are different. Some are open, honest, and simply trying to do the best they can. Some are deceitful and only interested in themselves. Most are somewhere in-between. Those we term ‘crazy’ or ‘insane’ are people whose mental models differ very significantly from those of the rest of us. Not that the rest of us all have the same mental models. We don’t; we all have our own unique models. However there is usually sufficient overlap for us to communicate and work together. This is not the case for those we consider ‘crazy’ or ‘insane’. People for the most part in their day to day lives do not behave in a logical fashion but behave in response to their prejudices, pride and vanity. Prejudices are assumptions about how people in a particular group or with particular characteristics behave, and it is the assumption that they all behave in the same way. Prejudices are almost always unfounded and negative. They are often deliberately encouraged by those with a vested interest in isolating those they are prejudiced against, but many others often go along with it, sometimes without realizing it. Some people form long term and deep rooted prejudices based upon brief impressions. For example, a particular experience with someone of a given nationality can give someone a deep rooted prejudice against anyone of that nationality. 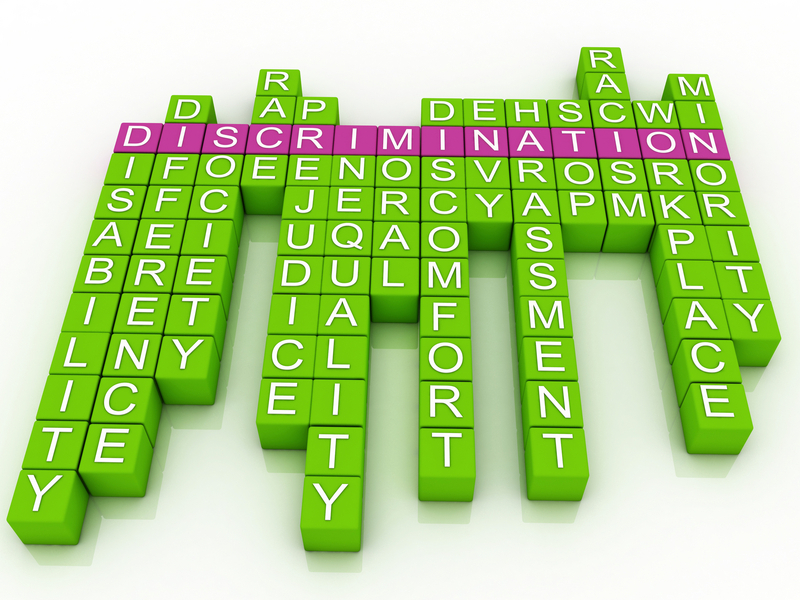 Prejudices readily form when times are difficult or when people feel they are being disadvantaged. The prejudices provide us with a potential route to improving our position by disadvantaging those we prejudice ourselves against. People act out their prejudice in ways that vary from verbally expressing negative attitudes, through discrimination, to physical violence, through to extremes, which have been common in the past, of extermination and genocide. As prejudice takes hold it often starts to increase in intensity unless prevented in some way from doing so. Stereotyping, which leads to prejudice, enables us not to feel guilty about how we treat others. People who are prejudiced are sometimes capable of extreme cruelty without having any feelings of remorse. Prejudice is self-reinforcing. A prejudiced person selects facts that fit their preconceived opinions. Facts that contradict their prejudiced opinions are ignored. They thus accumulate lots of arguments and examples in favor of their prejudices, which are reinforced in a self-delusional manner. Prejudices are invariably based on ignorance. People are prejudiced against other groups of people because they see them as different. The more you get to know others the more you realize we are all largely the same, just conditioned by a different environment. Prejudice is often broken down when people have to work together with particular individuals to achieve a common goal. Everyone has good and bad points, strengths and weaknesses. Prejudice means we only see the bad and weak points. When we work with someone on something of mutual interest we come to also see their good and strong points and build up levels of mutual respect. We are more prejudiced than we realize. We may believe ourselves not to be prejudiced at all in a given way, and yet tests would quite likely show we have biases. This does not make us bad people. But we should try to keep an eye on potential biases and try to compensate for them through keeping focused on facts and reasoning and context and remembering that people are individuals. Instinct and intuition can be very prone to prejudice. What we see is dependent on who we are. We are more tuned in to seeing details of those similar to ourselves than those who are different. All foreigners looking alike is not prejudice, it is how our brains work. Thinking that all foreigners are alike is prejudice. We don’t have the time to get to know everyone we come across. 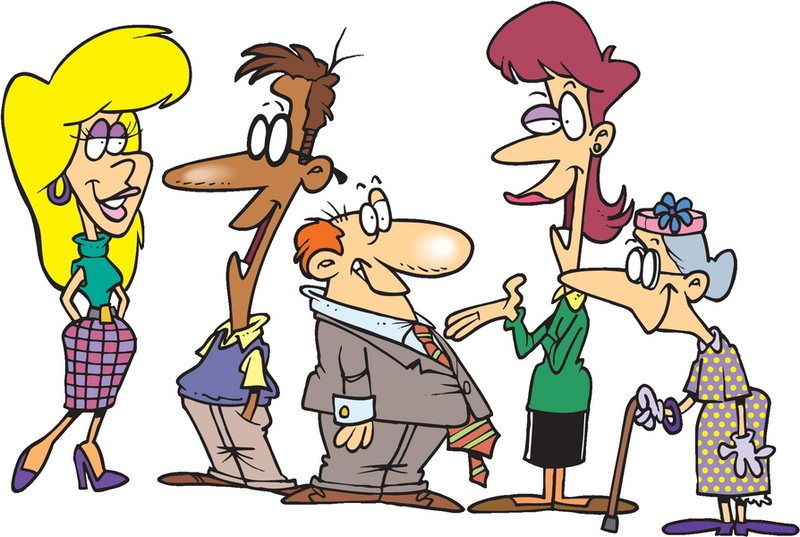 Stereotyping, based on some characteristic we can use to group people, provides us with a quick and often useful way of interacting with a large number of people. However it is also often misleading particularly when we need to interact more closely with particular individuals. A well-known psychological tendency is the halo effect where we take one characteristic of a person as a strong indicator of other characteristics. A common manifestation of this is that a person who is physically attractive is generally seen to be a good, happy, intelligent, and successful person, whilst someone who is unattractive is generally seen to be a bad or less competent person. Attractive people thus get the benefit of the doubt more often, and get more breaks in life than do unattractive people. People who are different from the majority stand out and we notice bad behavior on their part more than we notice it on the part of the majority. Thus even when in general those in a minority group may be better behaved than those in the majority group they will still be perceived by many of those in the majority group as being worst behaved. This leads to or strengthens prejudices against minorities. People want to be noticed. They want to be appreciated. They want to feel that they matter to and are important to other people. People are far more motivated by the thought of losing something than they are by the thought of gaining something. Most people value fairness as a primary need. They are happier receiving less so long as it is a fair share, than more if they feel as though they didn’t get their fair share. People’s general state of happiness is influenced more by their state relative to their peers and those around them than is by their absolute state. Most people would be happier being poorer, if they were better off than most of those around them, than they would be being better off but worse off than those around them. All people are motivated to some extent by self-interest, some more so than others. However there is a big difference between those whose self-interests leads to them being willing to lie, deceive, and worse in order to get what they want, and those who look after their own interests but try to balance this with other people’s interests when they can. 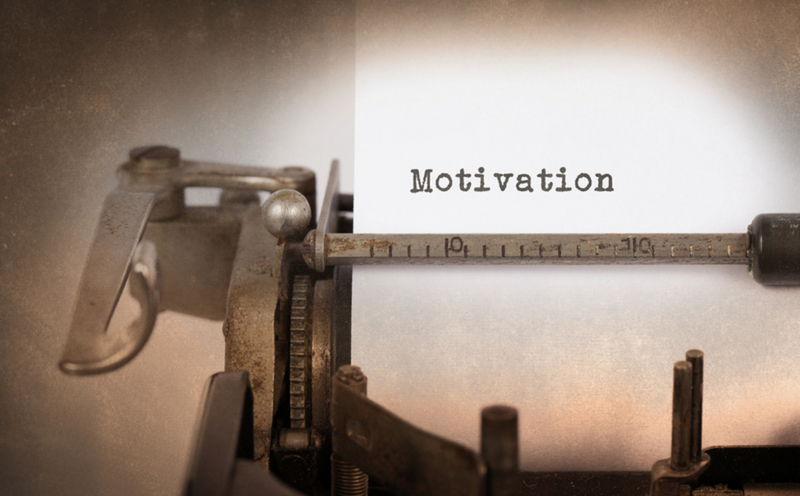 The use of rewards to motivate can be counterproductive. Use of rewards can change someone’s perception of the task being rewarded. If you reward someone for doing a task that they might have been self-motivated to do they will often lose the self-interest in the task and do it solely because of the reward, and if the reward is withdrawn lose interest in doing the task. Thus rewards can appear to work in the short term but be counterproductive in the long term. People’s behavior is often dependent upon whether or not they believe others are watching. People tend to be motivated to avoid shame, and shame arises when we believe others are aware of actions we believe they would disapprove of or would see as weakness. Uncertainty often leads to stress and people will often seek to eliminate uncertainty even when it is not their optimum strategy. People don’t only pick up particular bad habits from others; they also pick up behaving badly in general. However it also works in reverse and we can pick up good behavior and good self-control from those we see as role models. Bringing them to mind helps us be a little more like them. People will go to great lengths to protect or increase their status; and a sense of decreasing status can make people feel like their life is in danger. The desire to increase status or avoid reduction in status can drive people to incredible feats of endurance. Many of the arguments and conflicts at work and in life have status issues at their core. You can increase a person’s feeling of status simply by noticing them and thanking them for what they have done. A feeling of high status helps people process more information, including more subtle ideas, with less effort, than a feeling of low status. When someone is trying to solve a problem, simply giving them your solution will often not be well received. They will often see it as a status threat, a potential acknowledgement that you are smarter than they are because you came up with a solution when they couldn’t. People who think of themselves as superior to or better than others tend not to adopt Common Sense approaches but merely look to impose their will. Clever people are particularly prone to jumping to conclusions very quickly; and whilst they may often be right, they won’t always be. Powerful people are more likely to follow through on their thoughts, whether good or bad, than less powerful people. Most of us have bad thoughts as well as good, but rarely follow through on our bad thoughts. It is not so much that power corrupts, but that power leads to our bad thoughts being more likely to see the light of day. People are hundreds of times more interested in themselves than they are in you. Common Sense is not the same as integrity. Self-preservation is sometimes best served by saying you agree with or doing something you disagree with. You might do this because you believe it is the best way to achieve what you believe is right in the long term, such as through working from within the system rather than trying to change it from without, or simply because you have more to lose than you are willing to risk. It is hard to be dispassionate when we have a vested interest. Just because someone has a vested interest it doesn’t mean they are necessarily distrustful, though they might be. The extent to which a person allows vested interests to affect their behavior and decisions is largely determined by the person rather than by the circumstances. If looking to determine whether a given person is allowing vested interests to affect them look to understand whether or not the person has a track record of being trustworthy and behaving with integrity. 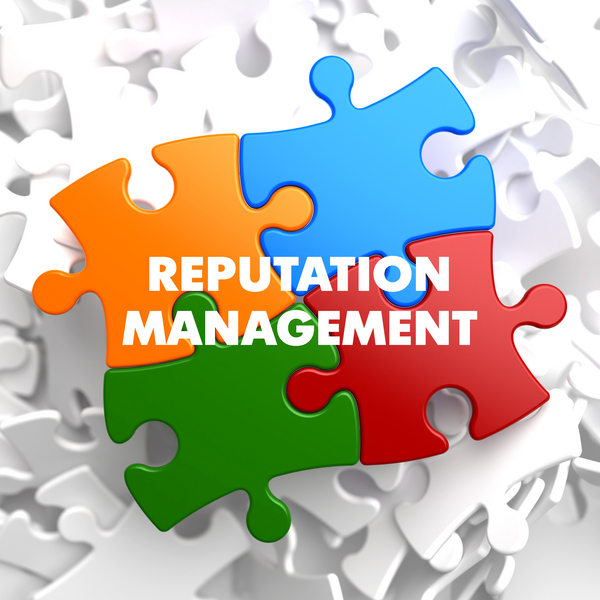 People often make decisions on behalf of others, such as an employing organization or a club. Some people will make such decisions on the basis of their own interests rather than in the interests of those they supposedly represent. The degree to which someone will do this will vary from person to person and from circumstance to circumstance. People are psychologically predisposed towards egocentric thinking and behavior. It is not necessarily conscious or deliberate. That people have a tendency to look after their self-interests is not in itself a bad thing. It is normal and healthy. However it is when those self-interests mean harming or taking advantage of others, when there are reasonable alternatives, that it becomes a bad thing. Just because there is no clear dividing line between healthy self-interest and unhealthy selfishness this does not mean a distinction does not exist. There is a clear distinction between red and orange without their being a clear dividing line with regards the spectrum between. Where people stand generally depends upon where they sit. The morality of ‘have-nots’ is likely to be an appeal to laws other than man made laws, such as ideals of equality. The morality of ‘haves’ is likely to be an appeal to man-made laws such as law and order and property rights. ‘Have-nots’ generally want change and ‘haves’ want stability. People who are desperate don’t look very hard at the evidence and readily give in to wishful thinking. Thus the reason many people get readily taken in by scams, and the popularity of extremists when times are hard. a. Your intuition is your subconscious working through an issue, and you should always go with it. b. Your intuition is often a reliable guide, but it is also liable to prejudice. Use it when issues are not too important, but you should supplement it with more deliberate decision making when issues are important. c. Your intuition is never to be trusted. a. The more certain someone is about something the more likely it is to be true. b. We can rely upon our senses. If we see or hear something then it is a true reflection of what we saw or heard. c. People with a high IQ are unlikely to be taken in by scams. d. People are only out for themselves. a. People are often certain about things which are not true, and various biases lead people to only subjecting themselves to evidence that is in favor of their current beliefs and ignoring or rejecting evidence which is contrary to it. b. Whilst in principle our senses accurately perceive our environment, our conscious perception of what we sense is also subject to preconceptions and other biases, such that what we think we sense can often be false or misleading. c. People of high IQ are frequently taken in by scams, and indeed are more likely to be taken in by certain scams which appeal to their belief in their intellectual superiority. d. People clearly have their own interests at heart, and so should they. However most people will also take account of the interests of others albeit dependent upon particular circumstances. b. Largely dictated by their personalities. The tendency to place an emphasis on personality or other internal characteristics when judging someone else’s behavior, but the specific circumstances when explaining our own, is known as the fundamental attribution error and is a common cognitive bias. Thus if someone trips we think of them as clumsy, whereas if we trip it is due to our having been distracted or something being in the way. Abstract Intelligence is the ability to reason in logical or mathematical terms. What other types of intelligence can you name and describe? • Practical Intelligence: our ability to see the world as it really is and cope with the challenges and opportunities of life. a. 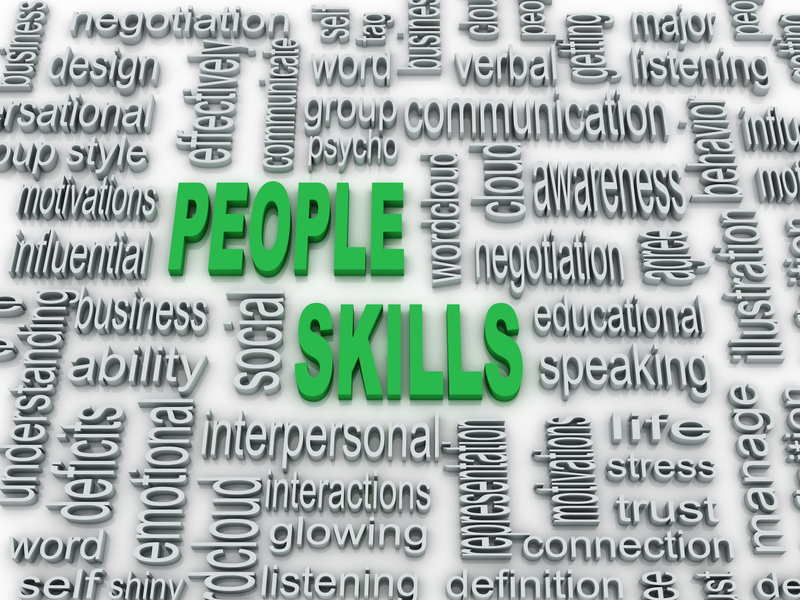 People who lack self-awareness lack the ability to program themselves and are therefore … . b. Many people don’t do what is most important; they do … . c. The best predictor of what a person will do is … . a. People who lack self-awareness lack the ability to program themselves and are therefore relatively easily programmed by others. b. Many people don’t do what is most important; they do what is easiest. c. The best predictor of what a person will do is what that person believes others are doing or will do. f. You see yourself a cooperative, others may see you as … . Note that this also works in reverse in that you may see someone as unfeeling whilst they see themselves as logical. Do you believe you have more common sense than most other people? In the highly unlikely event you have answered No, and meant it, then do not despair. You can significantly improve your common sense through making the effort to do so. Make use of this website to help. If you have answered Yes, then note that almost everyone feels the same way. Have you made conscious effort to improve your common sense? Are you aware of most of the fallacies and biases discussed on this site? Unless you’ve made conscious effort to improve your common sense then you are kidding yourself in believing you ‘instinctively’ have more common sense than others.